Home addition contractor estimates can vary widely for a variety of reasons. Local labor costs, and market conditions on raw materials, for example, can dramatically cause home addition cost estimates to vary between states and time periods for effectively the same home addition project. For example during a housing boom both labor and materials are in high demand, thus home addition contractor cost estimates are higher than if during a housing bust. Home addition contractor estimates can also vary widely between contractors, even in the same time period and marketplace. Contractor’s individual labor rates, and the particular subcontractors they use, can dramatically impact home addition cost estimates. In addition material costs can differ between home remodeling contractors. In some cases the material costs differences can be due to the amount of markup each contractor charges. In other cases it can be related to the amount of discount a contractor is given by their building material supplier. But most often it is the materials a contractor selects for the home addition project that impacts the home addition contractor estimates dramatically. This is why it is extremely important to specify all of the materials to be used in your construction project when putting your home addition project out for bid. By providing home addition contractors with a comprehensive set of documentation for your home addition plans, including a complete set of home addition drawings and a bill of materials list, you can expect to receive more accurate quotes. 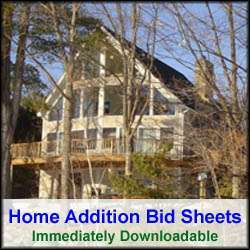 In addition, the variation between home addition contractor estimates should be much smaller. By spelling out specifically what materials are to be used in your home addition project, including the vendor names and part numbers, there is less apt to be wide variations in price quotes for your project. If there are any outlier contractor estimates you can quickly dismiss them or at least question why the large variance compared to other home addition contractor estimates. When reviewing and comparing home addition contractor estimates make sure that their proposals do indeed include your materials list and that no changes or substitutions have been made without your complete understanding. Besides labor and material costs, as well as housing market conditions, that can affect your home addition contractor estimates, there are several other factors that can impact the costs between similar home addition projects. Site conditions for example can dramatically affect the cost of a home addition project. The amount of excavation work, and how the addition ties into the existing home, are major factors in variations of home addition cost estimates between similar home addition projects. In addition, local building permit and impact fees can cause significant price variations between similar home addition projects. 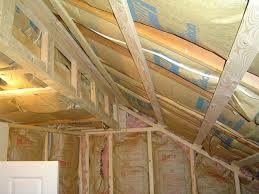 Weather conditions can also dramatically impact the cost of a home addition. Typically building a home addition in the winter will cost more than building one in the summer time where weather is warmer and drier. Finally, how well a construction project is expected to be managed will cause variations in home addition contractor estimates and actual completed costs. A contractor bid that is extremely detailed in schedule planning, and that leaves little for chance, will most likely be a better managed project and thus a more accurate estimate. On the flip side, a contractor bid that is short on schedule and material details is leaving more to risk and will most likely result in higher costs, even if not reflected in the original home addition contractor estimate.